Semester Exams, Report Cards and Student Led Conferences. I would like to try to cover a few topics this morning. Semester exams went very well and I would like to thank all of parents who encouraged your children to put in the time and effort to review and re-learn topics from throughout the semester. Many teachers expressed appreciation with the level of effort that their students invested in preparing for exams. We reinstated semester exams because we became aware from our graduates that they did not feel prepared for the challenges of exam weeks in college or technical school, and the current feedback would suggest that our exam process has been helpful in addressing that need. Since most of our exams, and our review lessons leading up to the exams, cover the most important topics (learning standards) from the whole semester, when students work hard to do well on exams it is exciting for us because we see their learning advance and deepen. We saw many students demonstrate that they understood concepts or could apply their learning in ways they could not previously, and that is a great way to end any semester. So, thank you parents for your support and encouragement as your children reviewed the semester’s learning and worked hard to do well on their exams. As always, hard work really pays off. Our guidance department is processing semester grades and the Infinite Campus portal will have second quarter report cards available on Thursday, January 24th. And finally, our freshmen and sophomore mentor groups will be meeting each day next week in preparation for Student Led Conferences on the evenings of February 4th and 5th. If you have a 9th or 10 grade student, you will get an email soon from your child’s mentor to set up a 20 minute conference. Generally, we try to set up the Student Led Conference between 4:00 and 6:00, and then have the last hour from 6-7 open in case other parents wish to have conferences with teachers. Parents, we really feel you can help your child in the career exploration process by being very curious about their interests and preparation in this area. The best way to be curious is to ask a lot of questions about careers that interest them and literally everything they know about the realities of that line of work. If you ask them questions that they don’t know the answers to, encourage your children to research further and find those answers. Encourage them to shadow careers that interest them as well. We understand that it is not always easy, or maybe even possible, for all of our students to figure out what they want to do with their lives from a work perspective, but we also feel as a school and with the support of parents, we should constantly strive to support students as they struggle with these really important decisions. We may not always find the answers, but we should not allow our children/students to be lazy about searching for them. It is simply too important to the futures of our students for parents and teachers not to work together in this area. Thank you in advance for participating in the Student Led Conferences, and remember–be curious and ask a lot of questions about your children’s career interests. My blog post last week announced the reestablishment of our Community Resource Officer (CRO) position in combination with the Village of Oostburg and the Sheboygan County Sheriff’s Department. This week I am pleased to announce that Oostburg resident, Brad Riddiough, has accepted our CRO position. Mr. Riddiough brings a unique skill set beginning with his early career focus as a 5th grade teacher in Wisconsin Rapids and Verona. Mr. Riddiough then transitioned into law enforcement, serving as a Deputy in Dane County. More recently, Mr. Riddiough worked for the City of Sheboygan Police Department serving as Sergeant as well as Lieutenant of Police in the Patrol, Administration and Criminal Investigation Divisions during his career. After his retirement from the City of Sheboygan Police Department, Mr. Riddiough worked as a full-time extradition agent transporting prisoners throughout the United States. Mr. Riddiough was recently deputized by the Sheboygan County Sheriff’s Department and brings a wealth of experience in law enforcement combined with a love for education. He will officially begin his role on February 4th serving our school district and the Village of Oostburg. Please join me in welcoming Deputy Brad Riddiough to this new role! We are pleased to announce that OSD will be reestablishing the position of community resource officer serving our school and community. OSD has facilitated a unique partnership between the Sheboygan County Sheriff’s Department, the Village of Oostburg, and Oostburg Schools to share an officer who will serve our community. Our community resource officer will have a primary presence in the Oostburg School District while also serving our village community as a whole. The resource officer will enhance student, parent, and community partnerships with law enforcement. The officer will be available to school staff for classroom presentations in regard to law enforcement and legal issues. Where appropriate, the community resource officer will attend staff meetings, work with classroom teachers, be involved in student, teacher, parent conferences and meet with students in both formal and informal situations. 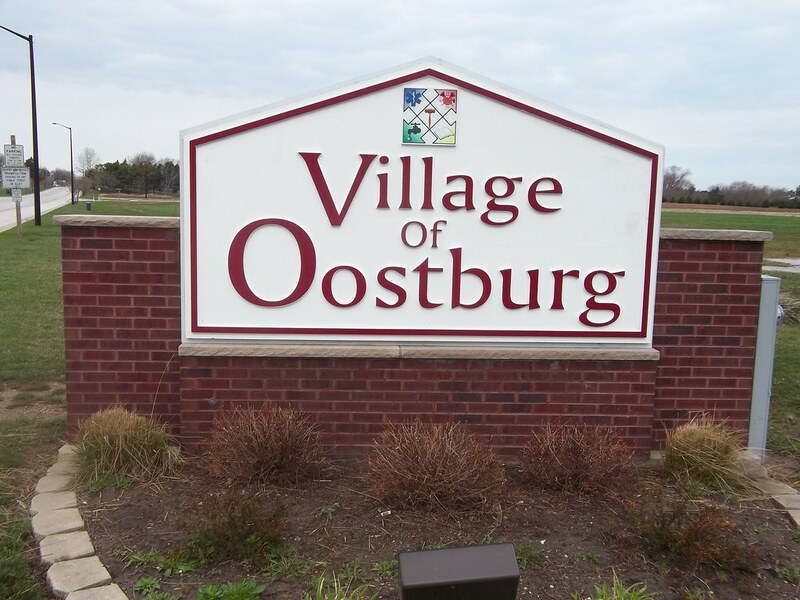 Our resource officer will serve in a shared agreement with the Village of Oostburg and, as such, serve in partnership outside of school grounds. Our community resource officer’s primary duties will be as a resource provider and liaison for communication, assistance, counseling and referral. The main focus of our community resource officer is prevention as compared to law enforcement. Oostburg Schools will continue to utilize the Sheboygan County Sheriff’s Department and their full time deputies for those rare times when concerns or violations require specific legal intervention and consequences. Our community resource officer will have hours that encompass both day and evening events in our school and community. A visible presence and focus on communication and relationship building will occur during the school day, at extracurricular programming, within the village, and throughout the school year and summer. Provide additional assistance to students, parents, and community members within the Village of Oostburg. Provide and support the opportunity for young people in our district to experience law enforcement personnel in the school and village setting as an entity which is supportive, helpful, and educational. Provide a direct connection with law enforcement as a community resource within the school and village. Provide school and community with assistance and help dealing with the needs and concerns of school-age youth. Provide a liaison between school, community and law enforcement agencies – local, county, state. Increase awareness in our school and community of the role law enforcement has in a democracy. Provide school staff and youth with additional opportunities to learn about law and law enforcement. Allow law enforcement to function more effectively as a local resource for classroom or large group presentations concerning issues of mutual concern within the district and community. Provide proactive assistance to students who display behaviors that may indicate potential trouble which could require law enforcement involvement. Congratulations to our Big East Honors Band and Choir Participants. Congratulations to the following Big East All-Conference musicians who were involved in the Honors Band and Choir concert last night at the Capital Civic Center in Manitowoc. The concert included 86 band members and 107 singers from the 14 Big East Conference schools. Congratulations on representing Oostburg HS with the best musicians from our conference. It is amazing what a quality performance can be put together with such a short period of preparation. Band Members–Jada Ritterling-flute, Gregory Gallenberger-bassoon, Camryn Lund-bassoon, Hayley Wickesberg-clarinet, Brianna Breunig-tenor sax, Isabel Fuentes de Rehm-trumpet, Madeline Block-french horn, Lorenzo Christian-trombone, Kyle Schinner-trombone, Elizabeth Brill-percussion, and Levi Dulmes-percussion. Choir Members–Sabryn Bley, Ashlyn Kolste, Leah Otte, Libby Otte, Angie Trekas, Campbell Van Ess, Jacob Oppeneer, Kyle Schinner, TJ Walcott, Lorenzo Christian, Gabe Ludens, and Ethan Wittneben. I would also like to congratulate our Pep Band on winning the first ever “Battle of the Bands” competition at the boy’s basketball game a couple of weeks ago against Cedar Grove. While I was impressed that our pep band won the competition, and from my perspective deservedly so, the best part of the evening was that both bands made that event into one of the most spirited and enjoyable games I have attended in as long as I can remember. I hope that tradition around the Oostburg v. Cedar Grove rivalry continues for a long time.